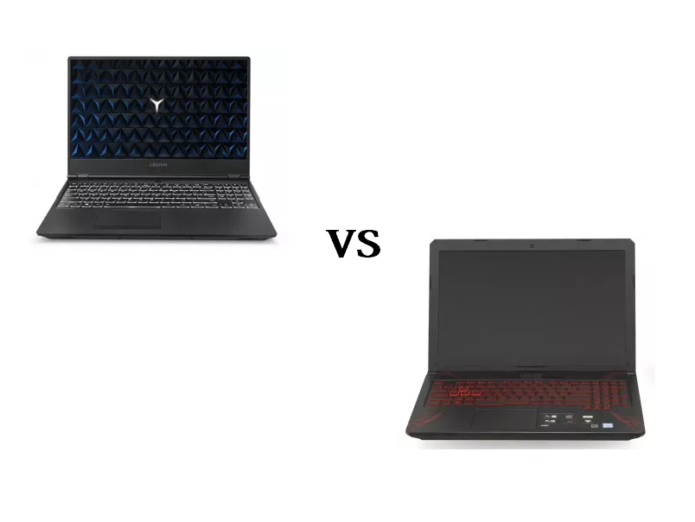 You may have already come across our previous battle featuring two premium gaming notebooks – ASUS ROG GL503GE and Lenovo Legion Y530, which turned out to be pretty tight with a slight advantage in favor of the former model. Today, we return with another in-depth comparison whose aim is to shed some light on the differences between the mid-range model Lenovo Legion Y530 and the budget-friendly ASUS TUF FX504. As usual, we are going to focus on their performance, build quality and other essential specification in order to help you decide which device suits you better. As regards the material used in this construction, the order of the day for both laptops is plastic. Although Lenovo Legion Y530 is marketed as a gaming laptop, its matte black body doesn’t employ the aggressive appearance inherent to other regular gaming devices. Quite the opposite, Lenovo has opted for a more simple design which may appeal to many users. As for the ASUS device, although its body seems quite sturdy, the lid is prone to bending and attracts scratches as well as fingerprints. On a more positive note, you can open the notebook with just one hand. In addition, the base of the TUF FX504 is also made of plastic, which imitates brushed aluminum. As for the dimensions of both devices, Lenovo Legion Y530 happens to be the slightly more portable gaming device measuring at 23.9 – 24.9 mm in height vs 25.1 mm for its rival, however, this is not such a major difference. What’s more, the two rival models tip the scale at exactly 2.30 kg (5.07 lbs). Next, opening the lids unveils quite good input devices for both notebooks. We were pleased to see that Lenovo Legion Y530 features the same keyboard found in Y520, as it turned out to be one of the strong points of last year’s model. Here, you presented with long key travel ideal for typing and gaming, bigger arrow keys and media control buttons. Although the Numpad area has been moved and also there is no room for the small Enter key, the current layout will most probably suit most gamers. In addition, we find the touchpad to be responsive and comfortable to use and the dedicated mouse buttons are a big plus. ASUS has opted for a full-sized backlit keyboard with designated WASD keys, while the arrow keys have been pulled down in order to preserve their size, which is a must for a gaming device. What’s more, the key travel is long enough and the keys are pretty durable as they are rated at 20 million clicks. Moving on, we weren’t able to test the touchpad due to some problems with the drivers. Now, let’s take a look at what connectivity options the two models have in store for you. Lenovo has located almost all ports along the back of its device. The left side features a full-sized USB Type-A port (3.0 standard) followed by an audio jack. On the right, you will see another full-sized USB Type-A port and a hardware reset opening. And finally, along the back are located a USB 3.0 Type-C, Mini DisplayPort 1.4, USB 3.0 Type-A, HDMI 2.0, Gigabit Ethernet (RJ-45), charging port and a lock slot. On the other hand, ASUS has decided to locate all the I/O ports on the left side. Here, you will see the charging plug, RJ-45, and HDMI connectors, as well as three USB Type-A ports (two of them are 3.0 and one is 2.0). You also got a 3.5 mm combo audio jack. Furthermore, there is also one speaker located on both sides of the ASUS TUF FX504. Both notebooks incorporate 15.6-inch IPS displays with Full HD (1920×1080) resolution, which translates into a pixel density of 142 ppi, and have a 0.18 x 0.18 mm pixel pitch but that is not of such importance as the following specs. Lenovo Legion Y530’s panel has a model number LG LP156WF9-SPK1 (LGD0563), while ASUS’ one has a model number AUO B156HAN02.3. Given the IPS nature of both panels, it doesn’t come as a surprise that the viewing angles are comfortable. The brightness levels are not that different – Legion Y530 provides a maximum brightness of 265 nits in the center vs 242 nits for TUF FX504. In terms of color temperature, both devices have a tad colder than the optimal – 7760K on the Y530 and 6920K on the TUF FX504. However, the latter exceeds its rival when it comes to contrast ratio with 1480:1 vs 1100:1 respectively. Next, we continue with the color reproduction which is rather disappointing for both models. Lenovo’s Legion Y530 display covers only 55% of the sRGB which is not suitable for color editing. In addition, ASUS TUF FX504’s display doesn’t shine with punchy colors either covering only 54% of the sRGB color gamut. When it comes to color accuracy, Y530’s average dE is 5.2 before calibration and after it is significantly reduced to 3.3. On the other hand, ASUS TUF FX504 has an average dE before calibration of 4.2 and after calibration the value is reduced to 3.4 (lower is better). Moving on, we are happy to confirm that the panels of both contestants don’t use PWM to regulate screen brightness. In other words, the screen is comfortable and less intrusive in this aspect even for extended periods of use. In terms of hardware options, both notebooks are powered by the 8th generation Intel Core i7-8750H processor. It features a total of six physical cores running at base speeds from 2.2 GHz to 2.8 GHz, while the Turbo one is 4.1 GHz (up from 3.8 GHz). On top of that, the TDP of the chip is rated at 45W and it has 9 MB of cache (vs 6 MB on Core i7-7700HQ). On the other hand, there is a difference in the choice of graphics card for each one. 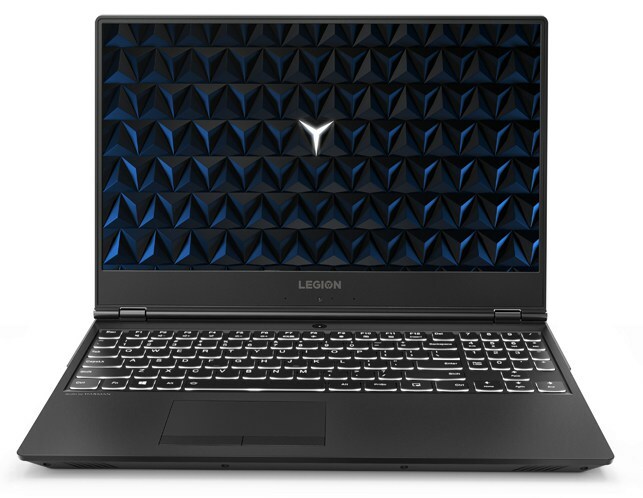 Lenovo Legion Y530 comes with the NVIDIA GeForce GTX 1050 Ti based on the GP107 chip and offers 4GB of GDDR5 memory connected via a 128-bit interface, as well as 768 CUDA cores. On the other hand, ASUS TUF FX504 relies on the NVIDIA GeForce GTX 1050 based on the GP107 chip paired with 4 GB of GDDR5 memory and 640 CUDA cores. Lenovo Legion Y530 offers slightly larger battery capacity – around 52.5Wh vs a 48 Wh unit in the ASUS TUF FX504, which translates into better battery runtimes. Our devices have undergone several tests. The first one is the Web browsing test where our own script browses automatically through over 70 websites. Lenovo Legion Y530 scored 343 minutes which is a pretty decent result and significantly better compared to just 263 minutes on ASUS TUF FX504. The second test is for Video playback where we put an HD video on loop. Lenovo Legion Y530 once again outperforms its rival scoring 278 minutes, while the FX504 kept the lights on for 233 minutes. And finally, our Gaming test using F1 2015. 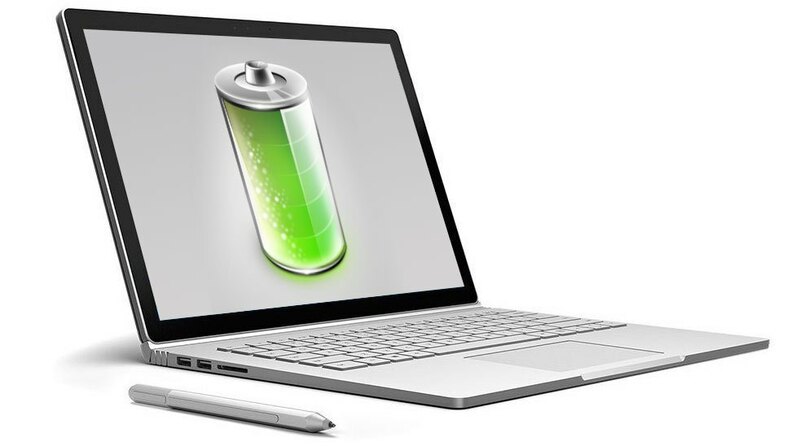 Lenovo’s battery provides 106 minutes while its ASUS opponent delivers 98 minutes of gaming on a single charge. Web surfing : In order to simulate real-life conditions, we used our own script for automatic web browsing through over 70 websites. Video playback : For every test like this, we use the same video in HD. Gaming : We use F1 2017’s built-in benchmark on loop in order to simulate real-life gaming. In this test, we load the CPU cores to 100%, while monitoring the fluctuations in their frequencies and chip temperature. The first column is indicative of the computer’s response under a short load (between 2 and 10 seconds), the second column simulates a serious task (between 15 and 30 seconds), and the third column is a good indicator of whether the laptop is suitable for heavy and continuous loads such as video rendering. As you can see from the graph above, Lenovo Legion Y530 has higher average core frequencies (3.14 GHz average) but this comes at the expense of higher temperatures. On the other hand, the ASUS TUF FX504 runs at frequencies of around 2.5-2.6 GHz for the entire period of our torture test maintaining relatively adequate temperatures at around 75°C. In conclusion, both notebooks are quite tempting gaming options that surprise one pleasantly in many aspects. If you are keen on a more simple design with no obtrusive elements, then you will like the Lenovo Legion Y530 better. What’s more, the notebook turns out to be the slightly more portable device measuring at 23.9 – 24.9 mm in height but sharing an identical weight with its rival – 2.30 kg (5.07 lbs) to be precise. A rather disappointing fact is that both models incorporate mainly plastic in their constructions, however, this doesn’t take away much from the overall stability. We should also mention the input devices which will suit your gaming needs pretty well (although we weren’t able to test ASUS’ touchpad). In terms of connectivity, Lenovo Legion Y530 has you better covered due to the addition of a USB Type-C port which has become a must nowadays. Moving on, both notebooks quite similar displays that offer really close maximum brightness levels, comfortable viewing angles but rather disappointing color reproduction. What’s more, you don’t have to worry about the presence of PWM no matter which device you opt for. However, the TUF FX504 exceeds its Lenovo rival as far as contrast is concerned. We recommend installing our custom profiles that will further improve the color accuracy, white balance, and gamma. Additionally, when it comes to battery runtimes, Legion Y530 sports a battery with a larger capacity which results in longer time away from the plug. The 52.5Wh unit is able to keep the lights on for almost 6 hours after a single charge. 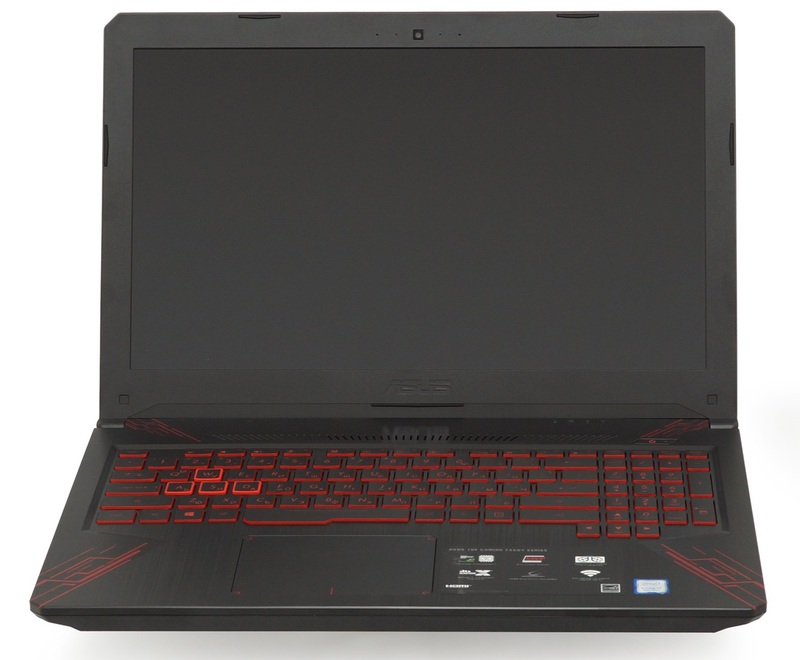 Next, both gaming notebooks rely on the 8th generation Intel Core i7-8750H processor but Legion Y530 sports the GTX 1050 Ti as opposed to GTX 1050 in ASUS TUF FX504 which translates into higher frame rates for a smoother gaming experience on the Lenovo device. Why choose Lenovo Legion Y530? Why choose ASUS TUF FX504?